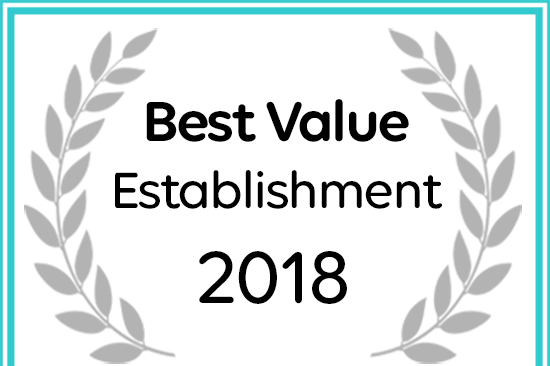 Afristay awarded Ganora Guest Farm & Excursions a 2018 Best Value Accommodation status. Give us one day and we will give you 250 million years. The history of the Karoo surfaces near Nieu Bethesda at Ganora Guest Farm in layers, and all the layers have texture. Ganora Guest Farm is a sheep farm situated just outside Nieu Bethesda in the foothills of the majestic Sneeuberg Range sixty kilometres north of Graaff-Reinet in the Karoo Heartland. The farmstead and guest cottages nestle deep in the slopes of a depression carved into the bedrock by ancient rivers in pre-historic times. The surrounding rock formations and rich fossil beds on the farm bear testimony to the events that contributed to the formation of this vast and beautiful land. Since it is located just 7km outside Nieu-Bethesda, Ganora's accommodation is ideal for visitors to the town and the region. The original farmstead and outbuildings, dating back to the mid 1700's, have been converted into guest accommodation. The stone packed "kraal" wall that once surrounded the farmyard, today forms part of some of the guest cottage interiors, allowing visitors the rare pleasure of interacting with the past. Meal times at Ganora are of special importance. This is down time, and visitors can look forward to traditional Karoo cooking, good company, much laughter and stories about the day's events. Regular fare on offer includes Karoo lamb, kudu and other game dishes, bobotie with spiced rice, organically grown vegetable dishes, koeksisters and melktert (milk tart). At the prestigious Sanlam Top Destination Awards for 2017 Ganora Guest Farm was announced as the winner in the 3 Star Farm Accommodation category! Thanks to all the guests who voted for us. Please note: No Visa or petrol cards accepted at Ganora or in town.